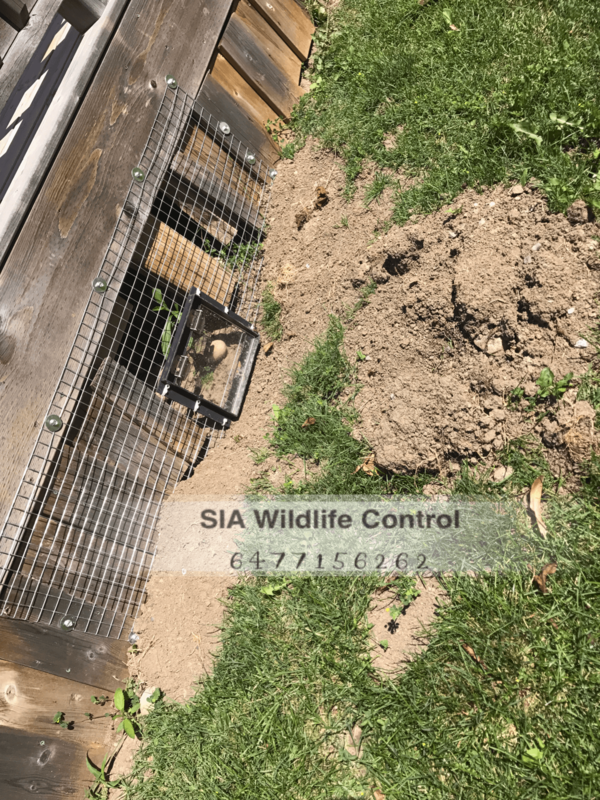 Proper Wildlife Removal Deck - SIA Wildlife Control Inc. 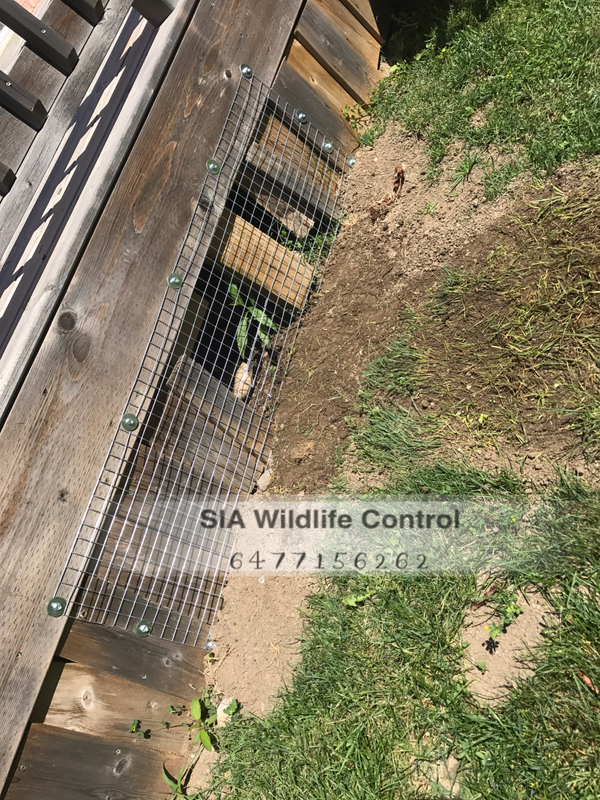 Some knowledge of wildlife is important when removing animals from the deck. 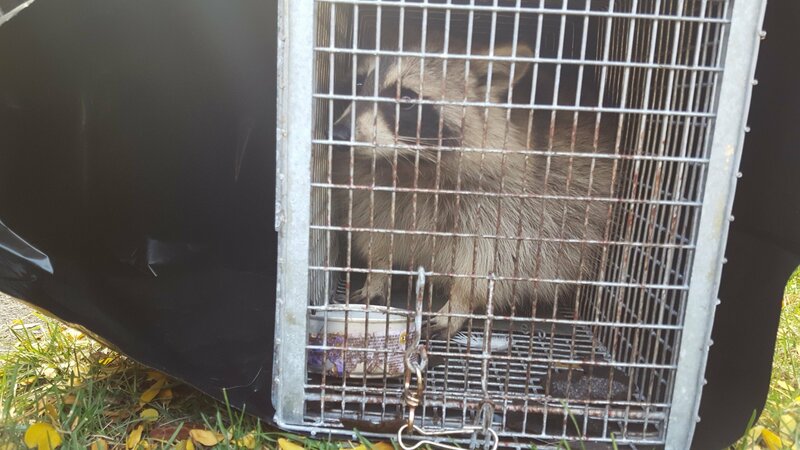 If you have a raccoon, skunk or opossum under the deck you need to understand their behavior. Knowing their sleeping and activity patterns helps you in their proper removal. 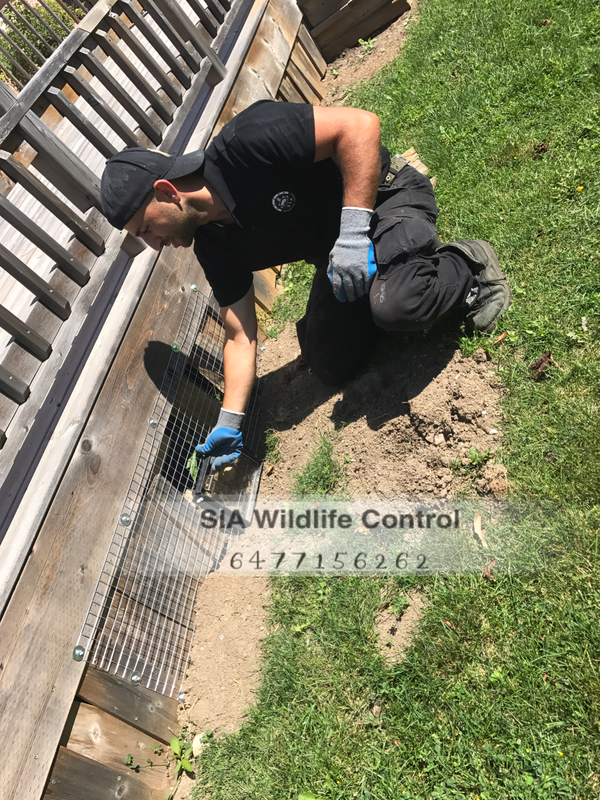 We don’t recommend doing your own wildlife removal unless you know the risks and what you are doing. To begin with, identify the animal and find out if they are nocturnal or diurnal. Firstly look under the deck at the entry point for evidence on the burrow site, hair, feces and smell. 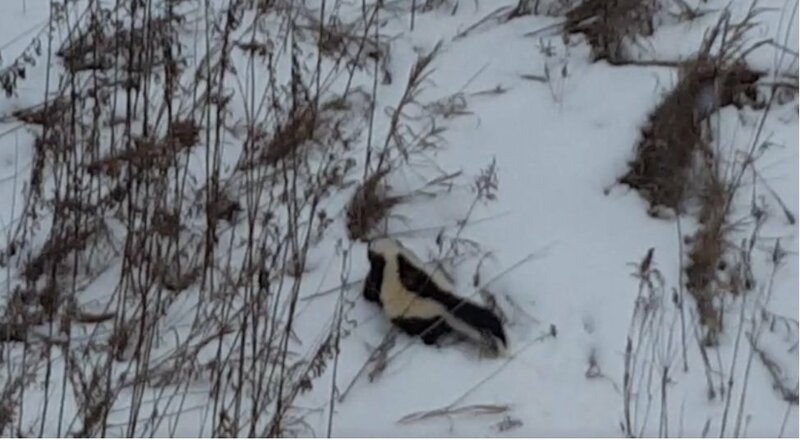 These contents can help you identify the animal. Finally, you can install a one way door to remove your wildlife problem. You can visit our removal service pages or read our news blogs for more information. If you are using a one-way door you should be certain that you have identified the right animal. You should never block an area that has been dug up leading to your deck. Blocking burrow sites with stone slabs or any debris may result in the death of the occupying animal. If you’re uncertain, avoid any attempts to remedy the problem yourself, call professionals for help as most are happy to help you.